The U.S. regulatory environment strongly impacts innovation and the development of new drugs and biologics. With this in mind, the Achieving Regulatory Approval and Compliance educational track at the 2012 BIO International Convention will tackle the most pressing regulatory issues facing the industry, specifically the reauthorization of the Prescription Drug User Fee Act (PDUFA V), implementation of the new biosimilars pathway, and efforts to modernize and expedite drug development. Hosted by the Biotechnology Industry Organization (BIO), this year's global event for biotechnology will take place June 18-21, 2012 at the Boston Convention and Exhibition Center in Boston, MA. "Attendees can expect to hear from a distinguished group of speakers from the Food and Drug Administration (FDA), as well as major biotechnology and pharmaceutical companies," said BIO CEO and President Jim Greenwood. "Sessions will address the steps involved in research and development of healthcare products and how to successfully bring these products to market, all while maintaining rigorous standards for safety, effectiveness, and compliance." 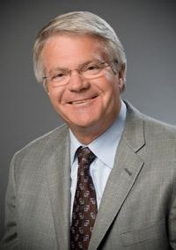 Ablitech, Inc., a biotechnology company developing delivery systems for gene silencing and cancer-fighting treatments, today announced that Dr. Daniel Bednarik has been named the Director of the Research Advisory Board. In his part-time role, Bednarik will assemble and manage a committee of scientists who will provide guidance to the corporation's research efforts, enhance funding, and create partnering opportunities. Plug into the Ecosystem of Health Innovation. Bring creative ideas, and connect with startups, developers, and designers. Learn how to utilize the exploding market of healthcare data innovation, and network with recognized VCs, funders, policy makers, and potential partners. The Health Datapalooza will feature keynote addresses, a Data & Apps Expo, demonstrations of cutting-edge apps, hands-on data deep dives, and thought-provoking panel discussions. There will also be plenty of time for networking and one-on-one interaction. Right now there are probably thousands of late-stage cancer patients waiting for drugs that could prolong their lives. Where do they look? Research labs all across the country. In a process called technology transfer, drugs go from the lab to the market, with a few steps in between, and the push is on to speed up the process, without leaving any loose ends. Recent technology transfers have resulted in treatments for fibromyalgia, a joint and muscle pain illness, called Lyrica; a form of fatal breast cancer, now leaving the disease undetectable, Herceptin, and new chemotherapy agents. The National Institutes of Health announced Friday it has awarded Johns Hopkins University $15 million to help establish the school’s new Center for AIDS research. The Center will tap researchers from Hopkins’ Bloomberg School of Public Health, the school of medicine and school of nursing to address HIV in Baltimore. It will also be supported financially by Johns Hopkins Provost Lloyd Minor and the deans of the Bloomberg School, the School of Medicine and the School of Nursing. TATRC within the Army’s Medical Research and Materiel Command is taking steps to move research forward according to the article “TATRC: Translating Research into New Medical Products” published in the May 2012 issue of “Mercury”. Ron Marchessault, Director of Technology Transfer and Commercialization for TATRC, is busy developing a comprehensive commercialization program for more than 1,800 research projects funded since 2000. So far, 2.3 percent have resulted in commercial products, generating $209 million in sales from a total federal investment of $74 million. TATRC manages these projects at universities, government laboratories, and high-tech start-up companies. GlaxoSmithKline PLC is taking its unsolicited $2.6 billion bid for Rockville-based Human Genome Sciences Inc. directly to the biotech's shareholders through a tender offer this week, a hostile move that will test GSK's partnership with the smaller firm, The Wall Street Journal reported. 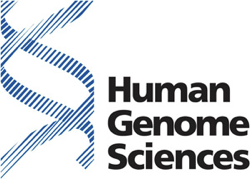 Human Genome Sciences last month rejected GSK's $13-per-share share offer as too low, and said it had hired two banks to advise it on "strategic alternatives," including a possible sale of the company. In a statement Wednesday, Glaxo said it won't participate in Human Genome Sciences' strategic review process, and will instead launch a cash tender offer this week at $13 per share. 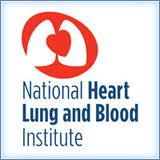 The National Heart, Lung, and Blood Institute (NHLBI) published a Funding Opportunity Announcement (FOA) in the Spring 2012 NIH Guide for Grants and Contracts to establish Centers for Accelerated Innovations (CAI). The CAI will address the problems that hinder the critical early steps necessary to translate novel scientific advances and discoveries into commercially viable diagnostics, devices, therapeutics, and tools that improve patient care and advance public health. Despite the remarkable success of NHLBI in enabling the development of interventions that have greatly reduced the health burdens due to cardiovascular, lung, blood and sleep disorders, much remains to be done. Cardiovascular and lung diseases still account for 3 of the 4 leading causes of death; 4 of the 10 leading causes of infant death; $392 billion in health care dollars, and 22% of the total economic costs of illness, injuries, and death. Unfortunately, the pace of translating discoveries from NHLBI-supported research into medical products that can further reduce the public health burden of heart, lung, and blood (HLB) diseases appears to have slowed. Major pharmaceutical firms have announced their intention to abandon drug development efforts for cardiovascular diseases and venture capital and angel investors have shown a decreased interest in the healthcare and biotechnology sectors. 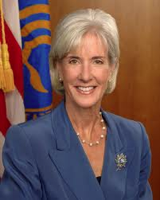 Health and Human Services (HHS) Secretary Kathleen Sebelius today announced the first batch of organizations for Health Care Innovation awards. Made possible by the health care law – the Affordable Care Act – the awards will support 26 innovative projects nationwide that will save money, deliver high quality medical care and enhance the health care workforce. The preliminary awardees announced today expect to reduce health spending by $254 million over the next 3 years. The genomic data generated from next-generation sequencing machines doesn't amount to much more than alphabet soup if it's not subjected to significant computational processing and statistical analysis. For the data to be useful, the trick is to turn those As, Ts, Gs, and Cs into a manageable description of disease risks and other genetic predispositions. That requires a lot of computational power and time—already a significant bottleneck for some genomic analysis companies. Several companies are looking to the cloud as a way to help them analyze all the data. The idea is that researchers can send their data to a Web-hosted analysis service that will process raw data into a genetic profile. However, the data files generated by sequencing machines are so massive that the mundane issue of uploading large files to the cloud becomes its own issue. The strategy of a Redwood City, California-based startup called Bina Technologies is to divide and conquer: give customers an in-house data-crunching machine that will turn a mountain of raw sequence into easily shared genetic profiles. Those profiles can then be quickly uploaded to Bina Technologies' cloud-hosted site for data management, sharing, and aggregation. Supernus Pharmaceuticals Inc. capped off its first week on the Nasdaq up nearly $1 from its initial public offering price. With its IPO in the bag, the Rockville biotech now turns to a bigger gamble: seeing two drugs through Food and Drug Administration approval and onto the commercial market. The modestly successful May 1 offering marks the first time a Washington-area biotech has gone public since 2007 and leaves Supernus with a pile of cash to shovel into its lead product candidates — epilepsy drugs SPN-538 and SPN-804. A proposal to speed the approval of new prescription drugs has patient advocates and biotech firms — including many based in Maryland — hoping that Congress will deliver a rare dose of bipartisanship this year. Lawmakers are proposing a 6 percent increase in the fees that pharmaceutical firms pay the Food and Drug Administration to offset the cost of approving new drugs. If the measure is not signed into law by the end of September, the FDA would lose the ability to charge any fees and be forced to lay off 2,000 workers, significantly slowing review times. Last Friday, Forbes health care editor Matt Herper and I sat down to talk about my proposal, which I detailed in a paper for the Manhattan Institute, to encourage the FDA to approve more drugs after mid-stage phase II testing, using a process called “conditional approval.” (You can read my proposal, in three parts, here.) Matt put forth some very perceptive critiques of the idea, which I respond to in today’s dispatch. As a refresher, my proposal builds on an existing FDA procedure called accelerated approval in which the FDA approves drugs that show great promise in phase II, with the caveat that the drug sponsor must still perform confirmatory phase III studies. If the phase III studies ultimately show that the drug doesn’t work as advertised, or has previously unknown safety issues, the FDA can revoke its approval. This is exactly what happened when the FDA revoked the approval of Avastin in breast cancer, after phase III tests did not reproduce the early signal of benefit that the drug had shown in phase II studies. Last month, the National Venture Capital Association (NVCA), a trade association representing the U.S. venture capital industry, released the results of its MoneyTree Report on venture funding for the first quarter of 2012. The report, which is prepared by NVCA and PriceWaterhouseCoopers LLP using data from Thomson Reuters, indicates that venture capitalists invested $5.8 billion in 758 deals in the first quarter, which constituted a 19% decrease in dollars and a 15% decrease in deals as compared with the fourth quarter of 2011, when $7.1 billion was invested in 889 deals. The report notes that the Life Sciences sector (biotechnology and medical device industries) and the Clean Technology sector saw marked decreases in both dollars and deals in the first quarter, with the drop in Life Sciences funding mostly due to decreased funding for the biotech industry. While the biotechnology industry still managed to place second among the industries tracked by the NVCA in terms of dollars invested in the first quarter, with $780 million invested in 99 deals, this constituted a 43% drop in dollars and a 14% drop in deals over the fourth quarter. The medical device industry picked up some of the slack for the Life Sciences sector, with $687 million invested in 72 deals, which constituted a 33% increase in dollars and a 6% drop in deals. The number of deals in the Life Sciences sector dipped to its lowest point since the first quarter of 2009. Overall, eleven of the seventeen sectors tracked by the NVCA saw decreases in dollars invested in the first quarter. Yesterday at the New York Biotechnology Association’s 21st annual meeting, National Institutes of Health director Francis Collins was beamed in by videoconference to a keynote lunch at the Times Square Marriott Marquis. Collins, who was the featured speaker, apologized for his virtual appearance at the event, but he had a good excuse: Just two hours earlier he was at the National Press Club in Washington, D.C., making an announcement about an ambitious new program being undertaken by the NIH and drug giants Pfizer, AstraZeneca, and Eli Lilly. The NIH said it will collaborate with the companies to make existing compounds available to outside scientists who want to find new uses for them. Cambridge’s most prolific life sciences entrepreneur, Andy Richards, says the local cluster is attracting more cash and global kudos than at any time in its history. Dr Richards says a number of ‘secret’ investments in the UK sector have created a far healthier funding environment than available figures would suggest. A serial angel investor in Cambridge’s European-leading BiomedTech cluster, Dr Richards is also its most passionate evangelist and believes it has never ridden so high in its quarter-century evolution. 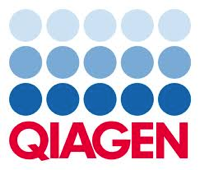 QIAGEN N.V. QGEN -1.92% (frankfurt prime standard:QIA) today announced the acquisition of AmniSure International LLC, a privately owned Boston company that markets the AmniSure assay for determining whether a pregnant woman is suffering rupture of fetal membranes (ROM), a condition in which fluid leaks from the amniotic sac prematurely. The first three start-ups have been selected to participate in a new business accelerator program started by Loyola University Maryland. CodePupil, PointClickSwitch.com and Vidstructor were selected by the university and its partner Wasabi Ventures to participate in the accelerator located in Govans, according to the Baltimore Business Journal. In March Loyola announced it was creating the business accelerator to partner with local entrepreneurs to help create new businesses. The results of the human trials are startling. Even at a lower-than-usual dose, multiple lung metastases shrank or even disappeared after one patient received only two-hour-long intravenous infusions of an experimental cancer drug. Another patient saw her cervical tumor reduce by nearly 60 percent after six months of treatment. Though the drug trial—by Bind Biosciences in Cambridge, Massachusetts—of an experimental nanotechnology-based technique was designed simply to show whether the technology is safe, the encouraging results revive hopes that nanomedicine could realize its elusive promise. Maryland has the foundation on which it can grow a robust environment of high-tech, innovative start-ups, but needs a stronger angel and venture capital network, more support for entrepreneurs and better programs to nurture young, creative minds, a group of business leaders said Tuesday. 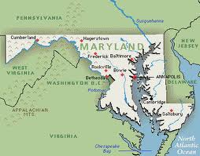 "There's no reason Maryland can't be an entrepreneurial hotbed like Austin or Boston or Silicon Valley," said John M. Wasilisin, executive vice president of the Maryland Technology Development Corporation (TEDCO). "We have our challenges, but our assets are off the charts, our education system and our quality of life, our access to federal facilities." - and Vidstructor, a software company enabling interactive video training platforms for businesses. Four New Enterprise Associates (NEA) venture capitalists were named to Forbes Midas List of Tech Investors, which aims to single out the top 100 venture capitalists that provide "the best returns for their investors, while helping create the most valuable and impactful technology and life science companies." Scott Sandell from the firm's Menlo Park office ranked highest at 14th. He was joined by Chevy Chase, Md. based Harry Weller (17), Peter Barris (23), both stalwarts on the Midas list, and "newcomer" James Barrett. Weller's and Barris' biggest deal was in Groupon while Barret's was in Pharmion. 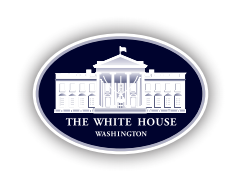 President Barack Obama’s administration rolled out its National Bioeconomy Blueprint last week, on April 26. It details measures by which Washington intends to apply biological innovations toward national challenges that include health, food, energy, and the environment. At the top of the Blueprint’s five priorities is supporting “R&D investments that will provide the foundation for the future U.S. bioeconomy.” Also on the list: increasing the focus on translational and regulatory sciences, reforming regulations, updating training programs, and identifying and supporting opportunities for public-private partnerships. For years, drug companies have known that their days of plenty were numbered, that the moment would arrive when the best-selling drugs that had driven two decades’ worth of profits would lose their patent protection and succumb to competition from generic alternatives. Without new blockbusters to replace them, profits would tumble. For Pfizer, that day has arrived. Pfizer profited from hits like Lipitor and Viagra, and swallowed up smaller companies from the 1990s onward. But it has no immediate successor to Lipitor, the best-selling drug in history, which lost patent protection last fall. The problem was punctuated on Tuesday when the company said that profit declined 19 percent last quarter, largely because of declines in Lipitor sales. It was exciting to see the creation this week of the New York Digital Health Accelerator in New York. 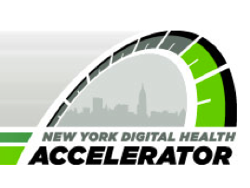 The New York State Department of Health, the New York City Investment Fund and the New York eHealth Collaborative all have partnered to provide funding, mentoring support, development expertise and more to health app startups in the state. The group is awarding $300,000 each to 12 startups that are producing apps for care coordination, patient engagement, analytics and messaging. The deadline to apply is June 1. What we'll really be watching for, though, is to see if other states follow suit, and fund health startups in, say, Nebraska or Mississippi. Such localized startup/development support really could be a boon for hospitals trying to develop their own clinical apps. Most incubator programs thus far have been in New York or California, leaving hospitals in the rest of the country out of the running. BioHealth Innovation, Inc. (BHI), a regional private-public partnership focusing on commercializing market-relevant biohealth innovations and increasing access to early-stage funding in Central Maryland, announced today the appointment of Douglas Liu, Senior Vice President of Global Operations at Qiagen, to its Board of Directors. 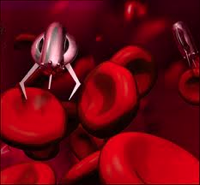 The Bill & Melinda Gates Foundation is now accepting nominations for the second annual Gates Vaccine Innovation Award. The award aims to recognize, celebrate, and spur transformative ideas for achieving health impact through the delivery of vaccines. Nominations will be accepted through August 31, 2012. In a move that combines an interest in improving health outcomes with a desire to create jobs and boost the state economy, the New York eHealth Collaborative (NYeC) and the New York State Department of Health (DOH) have partnered with the New York City Investment Fund to launch the New York Digital Health Accelerator (NYDHA). The program will subsidize health IT startups and link them with "senior advisors" from New York healthcare organizations to accelerate the development of useful new products. Within the next few months, the program will choose 12 "early- and growth-stage companies" that are developing products in the areas of care coordination, patient engagement, data analytics and message alerts for healthcare providers. In addition to the mentoring, each selected company will receive up to $300,000 to help create solutions designed to improve quality of care for the state's Medicaid recipients, according to a NYDHA announcement. 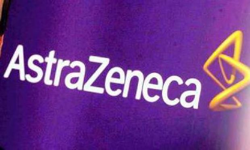 David Brennan's move to retire as AstraZeneca's (NYSE:AZN) CEO in June did not come as a surprise to those who had been urging for a change at the top over the company's drug development shortcomings. In an industry that walks a tightrope between innovation and regulation and the financial considerations that frame them, there are two critical characteristics that can undermine a CEO:being too bold or not bold enough. Brennan was a bit of both. His leadership was bookended by two acquisitions -- a $15.2 billion deal for MedImmune, a drug developer with a focus on influenza vaccines and the $1.26 billion purchase of biotechnology business Ardea Biosciences. Economic activity that is fueled by research and innovation in the biological sciences, the “bioeconomy,” is a large and rapidly growing segment of the world economy that provides substantial public benefit. The bioeconomy has emerged as an Obama Administration priority because of its tremendous potential for growth as well as the many other societal benefits it offers. It can allow Americans to live longer, healthier lives, reduce our dependence on oil, address key environmental challenges, transform manu- facturing processes, and increase the productivity and scope of the agricultural sector while growing new jobs and industries. Decades of life-sciences research and the development of increasingly powerful tools for obtaining and using biological data have brought us closer to the threshold of a previously unimaginable future: “ready to burn” liquid fuels produced directly from CO2, biodegradable plastics made not from oil but from renewable biomass, tailored food products to meet specialized dietary requirements, personalized medical treatments based on a patient’s own genomic information, and novel biosensors for real-time monitoring of the environment. Increasingly,scientists and engineers are looking to augment biological research with approaches from other scientific disciplines for solutions to our most demanding scientific and societal challenges and seeing exciting options that will profoundly affect our future. IT WAS once only drug firms that developed drugs. But this is changing. Take the case of the Michael J. 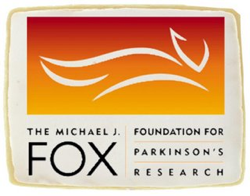 Fox Foundation, a Parkinson’s disease charity. On April 19th it announced that it would pay for a clinical trial of a drug developed by Sanofi, a French pharmaceutical giant, that might treat the mental symptoms of the disease. The deal is the latest sign of a broader shift—one that is driven by desperation. Patents on blockbuster drugs are expiring. Research and development (R&D) have grown less productive, with billions of dollars yielding only a trickle of drugs. Growing diagnostic test developer Nodality Inc. is losing its first CEO, but the venture capital world is gaining another experienced life sciences entrepreneur. 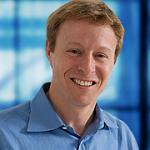 Dr. David Parkinson will join New Enterprise Associates as a venture partner. He initially will be interim chief medical officer of NEA-backed Zyngenia Inc., a young Gaithersburg, Md., company targeting cancer and autoimmune diseases. Parkinson leaves Nodality -- named “Most Promising Company” at the Personalized Medicine World Conference last year -- as the 40-person South San Francisco company forges ahead with a hybrid strategy of selling its tests into clinics and striking deals with drug developers. In the face of changes in the medical diagnostics industry, it’s a model that just might be used by more companies. 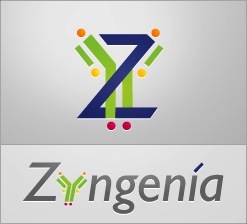 Zyngenia, Inc., a biopharmaceutical company developing Zybodies(TM), next-generation multi-specific antibody-based drugs in oncology and immunology, announced today that it has appointed David Parkinson, M.D. as a member of its Board of Directors and head of its Clinical Advisory Board. Dr. Parkinson will also serve as Interim Chief Medical Officer (CMO). "Since our start in September 2009, we at Zyngenia have validated our technology platform and developed a suite of novel multi-specific biological drug candidates. We have also built an outstanding drug discovery and development team," said Zyngenia President and CEO Peter A. Kiener, D.Phil. "We have been working with David Parkinson as a member of our scientific advisory group for some time now and, as we head toward clinical testing of our Zybodies, are thrilled to be able to get such an accomplished drug developer, company builder and leader in oncology and immunology more directly involved with Zyngenia. BALTIMORE, MARYLAND, April 24, 2012 – The University of Maryland BioPark announced today thatBahija Jallal, Ph.D., Executive Vice President of Research and Development at MedImmune, has been appointed as the newest member of the UM Health Sciences Research Park Corporation (RPC) Board of Directors. Dr. Jallal is a member of both MedImmune’s executive team as well as the R&D leadership team of parent company AstraZeneca. She joined MedImmune as Vice President, Translational Sciences, in March 2006 and has since held positions of increasing responsibility. Dr. Jallal now oversees research, development, regulatory and clinical activities conducted by a team of more than 2,500 employees based at MedImmune’s Maryland, California, and Cambridge, UK sites. Dr. Jallal has guided the MedImmune R&D organization through unprecedented growth and expansion of its biologics pipeline from 40 drugs to more than 140. Dr. Jallal is passionate about leading and shaping MedImmune’s rich pipeline of drugs targeting cancer, infections, respiratory and inflammatory diseases, cardio-vascular and gastrointestinal disorders and pain to ultimately develop new medicines for patients.